It’s no secret that big insurance companies are looking to make a profit. Despite the fluctuation of the stock market over the years, these massive corporations continue to make money at the expense of their policy holders. These for-profit companies have the simple goal of making as much money as possible, meaning they will look for any reason not to pay you what you deserve on an accident claim. Insurance companies will push the boundaries on what is a reasonable settlement on an accident claim. Oftentimes these offers are wildly out of line with what can be recovered with the help of a personal injury attorney. 10. "Our policy doesn’t cover this claim"
As stated above, insurance companies will use any sliver of evidence or semantics to avoid paying out your claim. This includes the language of the actual insurance agreement contract. For example, the insurance company may try and poke a hole in your case by looking at who was driving at the time of the accident, etc. It’s always a good idea to carefully read your entire insurance contract to gain a firm understanding. 9. "There’s not enough evidence for your claim"
By hiring an experienced attorney, you will find that there is often much more evidence available than previously thought. Accident claims need to be supported by strong witness statements and documentary evidence, and in certain cases, the insurance company has not collected these items. That does not mean it’s not available. 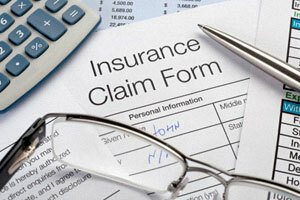 Doctors and medical experts can help refute the insurance company’s opinion that you aren’t as injured as you claim. By challenging a victim’s injuries – claiming the pain, suffering, etc. is exaggerated or embellished – the insurance will contend that you are faking just to get money. 7. "The police report doesn’t support your claim of being hurt"
The full extent of injuries from an accident may not be obvious until several days later. 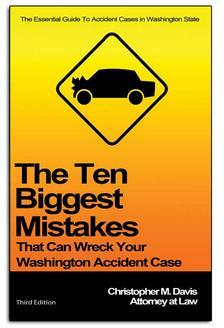 This raises an issue for victims, who may not appear truly injured or hurt at the scene of the accident. Back and neck injuries might not present themselves until later, meaning they will not show up in the official police report. This, however, doesn’t mean a personal injury claim can’t be pursued. Even if you think the injuries are minor at the time, it's important you go to a doctor immediately and get treatment. This establishes evidence that can be used later in your claim. If you wait days, weeks or months to get treatment, the insurance company may argue that your injuries aren't a result of the accident. 6. "You didn’t call the police"
This one is quite straightforward. After you’ve accounted for all parties in a car accident, it’s highly recommended that you call the police as soon as possible. If you fail to do this in a timely fashion, the insurance company may use this as a reason to downplay or dismiss the severity of the crash. 5. "Our doctor says you’re not hurt"
The insurance company’s own internal medical personnel will give an opinion on your injuries, but this is not the final say. Victims are well within their rights to have their own medical examination done to prove that your injuries are real and that your ongoing treatment is necessary. 4. "You were to blame for the accident (at least partially)"
When you think about it, the odds are very high that the insurance company is going to determine that the accident was caused by something that does not find them responsible for paying a claim. Even in cases where it seems obvious, insurance companies will attempt to avoid paying you what you deserve by putting the blame elsewhere. A personal injury attorney can help you find an independent analysis of the crash. 3. "The statute of limitations has expired"
In Washington State, you have three years from the date of the accident to file a claim. Many personal injury attorneys, though, would prefer to begin the claims process before the Statute of Limitations deadline nears. While a serious crash can be traumatic, and pursuing an accident claim isn’t your top priority, it’s important to not let the statute of limitations expire. 2. "Your prior injuries prohibit payment of the crash claim"
This may or may not be a valid reason for rejecting your claim. A pre-existing condition or injury is sometimes a convenient excuse insurance companies use to deter you from filing an accident claim. 1. "You weren’t wearing a seat belt or were driving while distracted"
While on the surface these may seem like legitimate reasons to dismiss a claim, they don’t always apply. Violating state driving laws does not mean the insurance company is contractually obligated for paying your claim. A personal injury attorney can determine whether your claim is solid.